In the first two parts of this series, some of the known facts on the early life of Mary were shared, how she started her Christian Science and discovered what she believed was malicious magnetism. In this last part of the series I will share some of her personal relationships and some of her steps taken to take complete control of every part of her church, and then conclude with my opinion and those of a few others. In the officially sanctioned biographies of Mrs. Eddy they say, as well as her own story, that she was forced to surrender her son, George, to live with a neighbor who had taken care of him for years. Then, when he was eleven, they moved out west taking him with them. These biographies also present that her son was too rambunctious and noisy, and it was part his fault for not considering the needs of his mother to be a quiet, obedient child. Mrs. Eddy wrote in her biography "My dominant thought in marrying again was to get back my child, but after our marriage his stepfather was not willing he should have a home with me. A plot was consummated for keeping us apart. The family to whose care he was committed, very soon removed to what was then regarded as the Far West." The unofficial biographies on Eddy present another story. George was left to be cared for by Mary's sister and her mother, and her nursemaid, as well as a neighbor. Mary's father said, "She won't have the boy near her." George had been nursed by a woman who had lost one of her twins. When Mary's mother died, Mary's father was going to remarry and he said they could not take care of George anymore. Mary's sister had her own children and Mary to care for and she said she could not take in the child, and shuffling the child from home to home was not good for him. When George was about six, according to one biography, Mary asked her former nursemaid to permanently take him in after she married Russell Chaney. They moved 40 miles away. A couple of years later Mary married Daniel Patterson, but she was bedridden most of the time and was still unable to care for her son. It was the years before and after her second marriage that Mary had to have a cradle built to rock her in order to sooth her so she could sleep, she was so taken by her nerves and fits and was extremely sensitive to noises and could not take being around children. When the Patterson's moved closed to George's adoptive family he would sometimes stop by on the way home from school to visit with his mother. When George was almost twelve the Chaney's moved out West and took George with them and Mary said, against her will. A later investigation on what really happened uncovered that Mary's father and husband had prepared legal guardianship papers for Daniel to be his guardian, and Mary signed the papers! Russel Chaney claimed he was given guardianship of George when he was five years old. Mary wrote that after George went West he was told his mother was dead. Yet in 1861, when George was seventeen, she had a letter from him that he had enlisted in the Civil War. Mary wrote in her biography, "Every means within my power was employed to find him, but without success. We never met again until he had reached the age of thirty-four..." Having located him in 1879 she sent him a telegram requesting him to come to her. While visiting his mother she tried to teach him Christian Science, but he later acknowledged he "made a mess of it." She would not hear of his returning home, but finally consented and he left, not to see her again for another ten years. His mother wrote him after her husband, Mr. Eddy died, to come to his funeral, but he refused. Then in 1887 he wrote saying he was coming for a visit. His mother wrote not to come as she needed quiet in her home. She also said, "You are not what I had hoped to find you," she continued, "and I cannot have you come. . . When I retire into private life, then I can receive you if you are reformed, but not otherwise..." The problem with her son, she believed, was he was not educated enough and was unrefined in his manners and illiterate, which reflected badly upon her image. George came anyway, and with his family. They stayed a few months, were introduced to other church members and then they returned West. Mrs. Eddy seemed also disappointed she did not have a son who took to her teachings andd would follow in her footsteps, and so she adopted a "new son" the following year. Mrs. Eddy legally adopted Dr. Ebenezer Johnson Foster in 1888—he was 41 and Eddy was 68. Yet within ten years Foster, like many others, was out of Eddy's life and church, scorned by Eddy and Christian Scientists. In 1892 Nixon resigned his post as Mrs. Eddy's publisher, and was succeeded by Eddy Foster, although he had no experience in publishing. It was a lucrative position for him and his adoptive mother. The accounts show that in three years Mrs. Eddy made royalties of $45,000. Foster had become everything she wanted in a son. He ran all manner of errands for her; addressed meetings which she could not attend; wrote some of her letters for her; saw visitors when she was indisposed; sometimes took a drive with her; kept her desk in order; played piano and sang for her, and most of all did everything she asked without objection. Many were jealous of his position and rumors started about him that made it back to Eddy that he was short in his accounts, and that he had conducted himself improperly with a married woman. By 1896 Eddy had taken the publishing away from him and sent him away where he was ostracized by others. He got the message, his mother was casting him off as she did for everyone over the years except her trusted secretary, Calvin Frye (He was employed over 28 years.) Foster traveled to the West and eventually settled in Vermont after Eddy breaks all relations with him. In 1899 he is dropped from membership in The Mother Church. He became a part of the "friends" lawsuit against Eddy at the end of her life. Though Eddy cut off all relations with him she still gave him an inheritance. It was in 1879 that the Church obtained a charter for the Church of Christ (Scientist). Mrs. Eddy temporarily moved to Boston so she could fulfill her obligations as its president and pastor. The new church had twenty-six members. It was not until 1894 the Mother Church, The First Church of Christ, Scientist, was built in Boston. 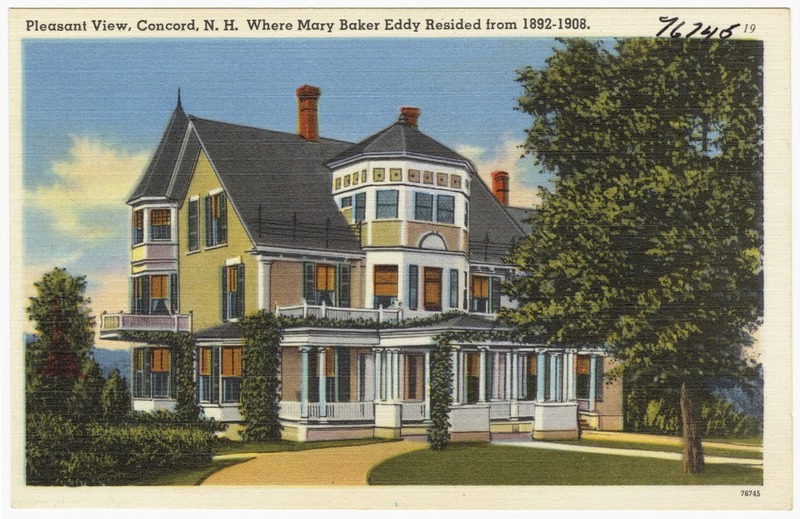 In 1881, Mrs. Eddy obtained a charter from the Commonwealth of Massachusetts and organized the Massachusetts Metaphysical College, in which during the eight succeeding years she taught over 4,000 persons at $300 a person, except for a few she either waived the fees or reduced them. The college was closed down by Eddy in 1889. Her purpose in doing this is not clear. Some same it was to secure time to revise "Science and Health" and further to extend her field of labor. Other's say it was because the year before one of Eddy's students, Abby Corner, while attending her daughter's birthing the mother hemorrhaged and the child died. A branch of her classes was on "metaphysical obstetrics", but they were taught to deny everything except the child and taught nothing on obstetrics. Also the Massachusetts attorney general was, at the time Eddy closed down her college, investigating institutions that were granting spurious medical degrees. First Mrs. Eddy gave up actively teaching but remained president of the institution, while her adopted son succeeded her as instructor. But then when attendance was down she decided she would close the college altogether. Then she decided to have another healer come in and teach it. After he gave up his practice and moved to Boston she changed her mind again and in less than a month closed the college. In October 1881, the first of many group defections by Mrs. Eddy’s students—charged later with being disloyal to her—took place. They were tired of being dragged as witnesses into lawsuits which they believed were unwise and Mrs. Eddy's frequent bursts of anger, especially against Kennedy and malicious mesmerism attacks she claimed were making her ill. Eight students wrote a declaration and read it during as Association meeting and then resigned. We, the undersigned, while we acknowledge and appreciate the understanding of Truth imparted to us by our Teacher, Mrs. Mary B. G. Eddy, led by Divine Intelligence to perceive with sorrow that departure from the straight and narrow road (which alone leads to growth of Christ-like virtues) made manifest by frequent ebullitions of temper, love of money, and the appearance of hypocrisy, cannot longer submit to such Leadership. The few students remaining, including her future secretary Calvin Frye, stayed all night talking. By morning Mrs. Eddy gave a speech like in the old days of trance mediumship. This time it appeared to be God speaking. A few days later more students left saying they could no longer take the mesmerism beliefs. The Eddy's leave Lynn and move to Boston as the people of Lynn appeared to turn against them. Then in 1888 another group in Boston charge Mrs. Eddy with misconduct. This time at least thirty-six students resigned. There were many reasons for their discontent. The first manslaughter charge was brought against Abby Corner after her daughter and child died. Mrs. Eddy publicly denounced Mrs. Corner and implied she had no authority to attend confinement cases from Eddy's college. Many thought this outrageous to treat one of their own that way. Some students lost their faith in Eddy. Some felt she wasn't teaching properly, or handled the Association on whims verses logic and sense. Some were unhappy with new rules Mrs. Eddy created with the school, forcing them to have to take classes with her to move on instead of with graduate students. Lawsuits continued to this day over deaths, especially involving deaths of children. The American Medical Association (AMA) declared war on Christian Scientists, but made little headway in the courts during the 1890's. Childhood vaccinations also became an issue as unvaccinated children of Christian Scientists spread smallpox. Then another daughter died of diphtheria and the parents were charged with manslaughter. Mrs. Eddy founded the Christian Science Journal in April, 1883, and was for many years its editor as well as its chief contributor. She founded the Christian Science Quarterly in 1890, the Christian Science Sentinel in 1898, Der Christian Science Herold (in German) in 1902, and The Christian Science Monitor, a daily newspaper, in 1908. By 1889 Mrs. Eddy is estimated to have made over $100,000, equivalent to over two million in today's dollars. Membership was over 8,000 mainly because people believe they had a way to heal themselves. The church grew as well because every person the new practitioners healed were possible converts because they wanted to maintain their healing. Mrs. Eddy organized the Mother Church tightly so that no one could take control. It took years to do, but she eventually had control of everything and remained in control until her death, and even after her death she had set up the organization so that she still controlled. The Board had to reprint the Church Manual two weeks after her death in order to give themselves power by removing her name as pastor emeritus, as Eddy had refused to change the structure before her death, and as Board members died or needed to be replaced, no one could fill their places without Eddy's consent. Church buildings started springing up in 1886, and land was purchased in Boston to build a church there with a loan. By 1888 Mrs. Eddy purchased the loan secretly and then foreclosed on the students months later. She then bought the property from herself for half price at an auction all involving dubious financial transactions. Her next step was to disorganize the Boston church. She then let the Boston members know that they could have the land if they let go of their previous church organization. They had no choice. Then she had a deed of trust drawn up transferring the property to four of her closest and trusted students who would form the first Board and who would have all powers of control over the Boston congregation, with Mrs. Eddy installed as its visible head as "Pastor Emeritus", as she made this the "Mother" church and all of the branch churches would be under the Mother church. In addition to the usual church officers, Mrs. Eddy had chosen twelve charter members, whose duty it was to ballot upon every candidate for admission to the church and these twelve were the only persons permitted to vote upon such candidates. All past Christian Scientists had to reapply to become Church members of the Mother Church, and of course, anyone Mrs. Eddy did not want as a member would be relayed to the charter members. In 1889 Mrs. Eddy closes down the Christian Scientist Association. She also resigns as pastor of the Church of Christ (Scientist), Boston. The organization, nature, constitution, and government of the Mother Church, its tenets, its church Manual, and its special form of public service are all of Mrs. Eddy's devising. Mrs. Eddy retired from the editorship of the Christian Science Journal as well in 1889. Then she moved out Boston, believing that it was too filled with Malicious Animal Magnetism (MAM) and rented for a few years in Concord, N.H.
Mrs. Eddy bought a home she called Pleasant View that was outside of Concord, and it was from there that in 1895 the Mother Church was dedicated in Boston, but Eddy did not attend the dedication. She and her servants rarely left her home. Also that year Mrs. Eddy wrote the Church Manual which, with a few changes over the years, governs the Church today and then she continued to rewrite Science and Health as she had done over the last twenty years. She put in her Manual that the loyal Christian Scientists had given to the author of their textbook the endearing title of Mother. Therefore, if a student of Christian Science shall apply this title to anyone but her it shall be regarded by the Church as an indication of disrespect for their Pastor-Emeritus, and make them unfit to be members of The Mother Church. After Mark Twain made fun of Eddy and part of his criticism was with this Article, Mrs. Eddy replaced it saying that from now on, due to the misunderstanding of the public to this title, please use the title "leader". It bedeviled her printers, froze her water pipes, and made the boiler leak. It got into her household furniture and kitchen utensils, her coal and blankets and feather pillows and silver spoons and caused them to disappear as if by some magician’s wand. She accused nearly all her servants of stealing and charged their perversity to :MAM”. She would send servants to outlying towns to mail letters and dispatch telegrams so that they would not pass through Boston where the mail clerks and telegraph operators were supposed to be “mesmerized” and could poison the messages with t heir evil power. A long succession of tenants and housekeepers went wrong under the same evil influence. Any personal annoyance or irritation that she experienced was instantly shared to this devil. Friend after friend fell under this accusation and was forthwith excommunicated. No language could be bitter enough, no punishment could be dire enough to express her sense of the horror of this evil thing. Another item blamed on MAM was Mrs. Eddy's divine inspiration, or interference with it, which she blatantly let all around her know that it was God speaking through her and no one was to challenge her word. Sometimes she would order something and when it was delivered refuse it, saying she changed her mind. She sent her publisher of the Christian Science Journal to flee to another city and take the magazine with him as mesmerism was going to wreck the Journal, she said. He went to Philadelphia to set up a new office there, where he finally found a suitable office and a printer who would undertake to get the magazine out on time. Just as he was about to close the contract, he received a telegram from Mrs. Eddy telling him to bring the Journal back to Boston at once. If the direction was supposed to be from God and she changed her mind, it was a "suggestion that was sent mentally" by someone in MAM and she hadn't discerned the difference. One may wonder how many directions were given in the name of God that were not. Mrs. Eddy had to endure a difficult lawsuit against her mental capacity when she was 85. The “Next Friends Suit” begins in Concord in 1907 where her family members claim that she is mentally incompetent and that her finances are controlled by several members of her household and Church. Her son, adoptive son and granddaughter are all part of the suit. But Mrs. Eddy was still mentally sharp in her financial investing, and immediately formed a trusteeship transferring all her property to three men. She had an audit done of the books maintained by Calvin Frye and then she created a trust deed for her son. Because of her advanced age the judge and counsel for both defendants and plaintiffs interviewed her in her home and came away entirely satisfied with her sanity, though she appeared very feeble. The suit was dropped by the family. Showing that Mrs. Eddy was still directing the Church up until the end, she requests in 1908 that the Board of Directors start a daily newspaper called the Christian Science Monitor. The Monitor was not to be just a Boston paper, or even a national one, but an international one, and it brought fame and fortune to the Church in future years, as well as bringing fair news and in a wholesome manner. But the same year Eddy was convinced again that MAM was too prevalent where she lived and she moved for the last time, back to Boston, when she finished out her life on earth and died in 1910 at the age of 87, suffering up to the end from the same attacks she had all her life. She still was believing Kennedy was sending her MAM, as well as she had palsy and painful kidney stones, and had a complete set of false teeth. Her staff would take turns practically around the clock in mental contemplation on these energies in the attempt to counteract them and bring Eddy relief. Nights were the hardest with attacks, unable to breath and in pain and she was still being administered morphine in shots. In her last year she could sit for hours not moving, just staring out the window. What did she think of others? No one was her equal, and she was greatly disappointed in her son to whom she wrote a letter to in 1890 saying she wished he was was better educated because "he did not pronounce words correctly and she was too proud to have him come among her society" and of others she said, "Now what of my circumstances? I name first my home, which of all places on earth is the one in which to find peace and enjoyment.But my home is simply a house and a beautiful landscape. There is not one in it that I love only as I love everybody. I have no congeniality with my help inside of my house; they are no companions and scarcely fit to be my help. I adopted a son hoping he would take Mr. Frye’s place as my bookkeeper and man of all work that belongs to man. But my trial of him has proved another disappointment. He books could not be audited they were so incorrect. Mr. Frye is the most disagreeable man that can be found, but this he is, namely (if there is one on earth), an honest man...."
It was after Mrs. Eddy passed that the Board of Directors of the church decided to take action to control the Publishing Trustees. That was when they approached the three Trustees and began the process of taking control of the Publishing Society. But, since the Trustees of the Publishing Society knew that Mrs. Eddy intended for it to continue to be independent, they did not bow down to that desire of the Board of Directors of the church. That is when the Directors began a lawsuit called the "Great Litigation" in order to take control of the publishing. They eventually won. The issues and details are enormously complex and are not detailed here. Basically, the litigation consisted of two lawsuits: Eustace vs. Dickey, and Dittemore vs. Dickey. The first lawsuit was between the Trustees of The Christian Science Publishing Society and the Christian Science Board of Directors; the second was between John V. Dittemore, a dismissed member of the Board of Directors, and the Board itself. Most of the legal proceedings took place between about 1919 and 1924. That litigation caused a huge rift within the Christian Science movement. A large number of Christian Scientists gave up their membership, and left the church as a result of that litigation, because it was so unprincipled and so wrong, and it was not the way they believed Eddy had set up the Church. Mrs. Eddy tried, and very rigidly so, to control and restrict the books she permitted her followers to read. Nevertheless, in spite of all such precautions and restrictions, out of several divisions within Christian Science came many rival groups and their publications. She would not allow her readers to say a word of their own in the church service, or any officer, lecturer, or member to write or speak on the subject of Christian Science except as such statements were submitted to and approved by her own board in Boston. Many of these controls are still in effect. A census at the height of the religion's popularity in 1936 counted 268,915 Christian Scientists in the United States. There were an estimated 106,000 Scientists in the United States in 1990. In 1941 there were 11,200 practitioners in the United States, against 965 in 2015. What caused the decline? The rise over the 19th-20th centuries was due to patients who fared better without medical treatment and people believed it was CS practitioners bringing the healing. After the advancement in medical science people were improving traumatically with new medicines and less converts were made. By the end of the 20th century there were many CS retirees who had remained single by Eddy's recommendations. Statistics showed that those that did marry and have children, only 25% of their children stayed with CS after becoming adults. It was in the 1990s that the Church disclosed some financial difficulties caused by expanding much too fast into too many very speculative endeavors. One difficult issues was with the purchase of a television station by the Board of Directors in order to communicate Christian Science ideas more broadly. This expensive and unsuccessful venture into new media seriously strained church finances. It was in the 1980s the church began producing its own television programs, and in 1991 it founded a 24-hour news channel, which closed with heavy losses after 13 months. By the end of 1991 the church ran out of general operating funds and elected to borrow from some restricted funds to meet its operating expenses. After borrowing $5 million from the Trustees Under the Will of Mary Baker Eddy and $21.5 million dollars from the pension fund the board borrowed an additional $20 million to repay an earlier loan from the Christian Science Monitor fund. Its newspaper circulation dropped below half of what it was in the 1960s and they eventually had to reduce it to a weekly edition. Because of large expenses involved in launching various broadcast activities and other church operations, the Mother Church suffered a net deficit of $178 million in the fiscal years 1985 through 1992. In 1992 the Church was looking to receive money from the estate of the relative of Bliss Knapp in the amount of $100 million. Knapp had been a devoted follower of Eddy. Knapp wrote a book about his experiences in 1947 called The Destiny of the Mother Church. When Knapp finished the book, the board declined to publish it. The problem was Knapp proclaimed Eddy to be the Second Coming of Christ. Knapp's family was wealthy and directed that the entire amount of their estate be donated to the Christian Science Church, provided that the church publish Bliss Knapp's book as "authorized" Christian Science literature. It would then be distributed to all of the church's 2,700 reading rooms around the world. In light of the large amount of funding this would bring to the recently diminished church coffers, the Board of Directors agreed to publish the book. Many Christian Scientists took issue with this decision and several protesting groups formed. The Board excommunicated several vocal protesters and several key staff resigned. Finally the Board left the decision of whether or not to carry or sell the book to the local Christian Science Reading Rooms. The Board also did not fulfill the requirements of the will and the issue went to court. Eventually the inheritance was divided between Stanford University and the Los Angeles County Museum of Art with 53 percent to the Church and the rest split between the other two inheritors if the will requests were not fulfilled. The last and most important issue affecting the Church was several, high-profile cases of parents whose children died while being treated by Christian Scientists. Christian Scientists were instrumental in putting into effect in their resident states laws to protect the religious right to use prayer instead of medical treatments for their children. In response to children's deaths, the state legislatures had to weigh the right of the parents and religious freedom and the right of the children's lives. Some parents were charged with manslaughter and some states have redefined their laws. Currently, thirty-one states legally protect parents from prosecution involving deaths of children attributed to spiritually or religiously-based healing. After reading dozens of books and articles on Christian Science and Mary Baker Eddy, I can only include a small part in this series of what others have revealed about her life. It is clear to me that she was filled with fear her entire life, and where there is fear there is no love. They are incompatible. She was quick to anger, extremely domineering and selfish, always wanting to be the center of attention. Her illnesses continued her entire life, and if there was any truth to MAM, she gave it power by believing in it. If there is no reality to humans, the physical world, illness, etc., can there be any reality to MAM? She was dishonest in plagiarizing other's writings, lied about her teachings not coming from Quimby, quick to change her mind and causing others untold discomforts, and thought too well of her own importance. The picture of her does not add up to be anywhere near a saint, let alone the chosen one of God to lead mankind, and one to be admired and emulated. She believed God spoke through her. The Ascended Master "El Morya" through Elizabeth Clare Prophet said, "In 1876, Helena Petrovna Blavatsky was ordered by the Master Kuthumi and me, then known as the Masters K.H. and M., to write Isis Unveiled. Later she was given the responsibility of imparting The Secret Doctrine to the world. 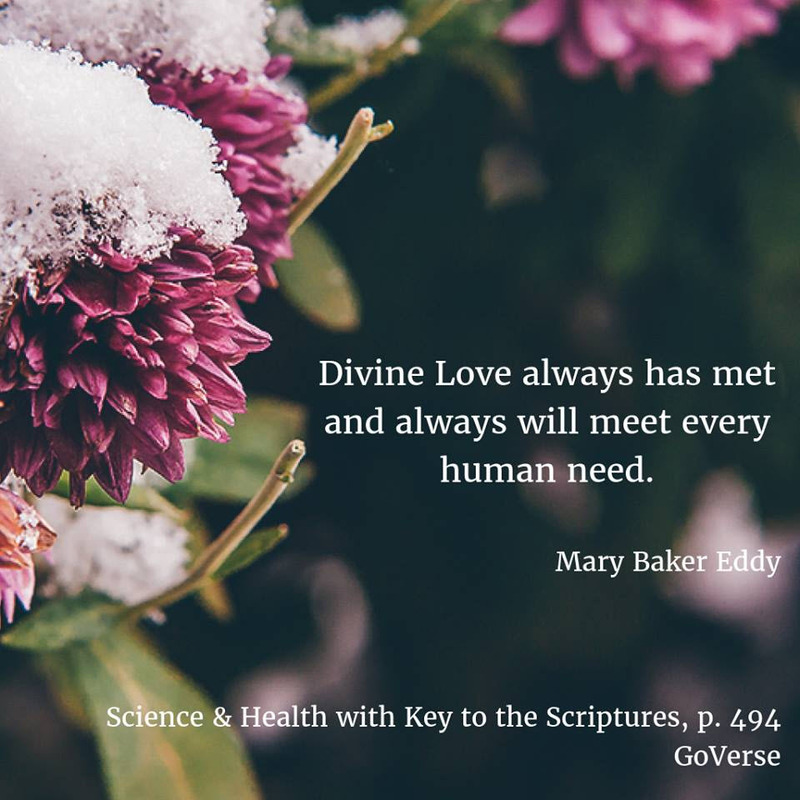 Commissioned by Jesus the Christ, the Ascended Master Hilarion, and Mother Mary, Mary Baker Eddy was given certain revelations which she set forth in Science and Health with Key to the Scriptures." (PoW Vol. 18 No. 16, 1975) I do not believe either Eddy or Prophet's El Morya. It has been proven by William Emmette Coleman1 that Madame Blavatsky plagiarized most of the work of her Isis Unveiled and it was not of an original work. Is this what the Summit Lighthouse and Theosophy El Morya wanted revealed to the world, a compilation of other author's texts, word for word? Most of Science and Health was rewritten by Eddy's editor Wiggins because it was so unclear and nonsensical in many areas, and, as well, she plagiarized from Quimby. Christian Science may promise and does give a kind of comfort, but it is an ignoble kind. 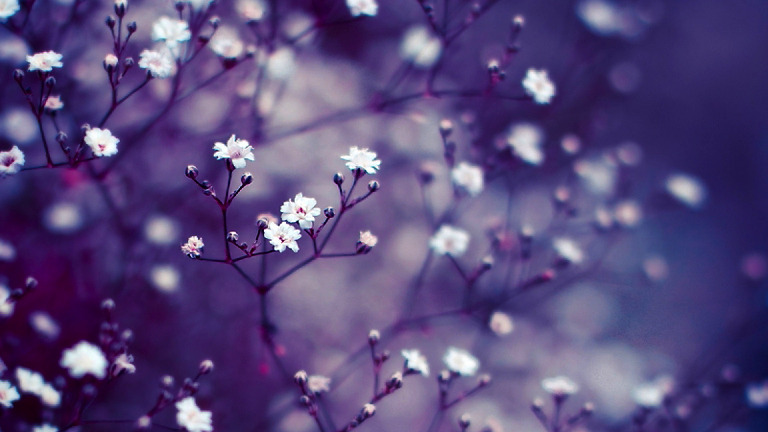 It finds its own comfort by forgetting the discomfort of others. It is largely oblivious of the sufferings of the world because it does not believe in the reality of any suffering and thinks that such delusion is a personal fault. It has no social gospel and no form of social service. It is terribly significant and a damning indictment of Christian Science that it has no hospitals and general philanthropies because it does not believe in them. It seems monstrous that in our modern world with its ever-increasing note of altruism a set of people should wrap themselves in comfort and nurse their own souls in ease and deaden their ears and hush their very houses of worship to all the cries of poverty! and social distress in the world. Having denied the reality of the material world, it has retired into an unreal and self-contained world of its own. Its comfort is self-centered and selfish. Mrs. Eddy teaches the “allness” of God, the one and only Being that includes us all and in whom we live; and his very presence excludes evil and fills us with good. This brings God near and makes him warm, wraps us around with his Spirit and makes him all in all in our thoughts and lives. There is a great truth and immense help and attraction in this view of God, and, next to the appeal of health, it is the chief value and asset of Christian Science. This is simply the Scriptural and Christian doctrine that in God “we live, and move, and have our being, which we shall emphasize later. Unfortunately, however, Christian Science as usual perverts this truth into pan- theism that fuses man with God, obliterating all real distinction between them, and effaces the personality of God, degrading him to “Principle,” and then God, in any religious sense and value, is gone, and both God and man are merged and lost in the vast dark abyss of impersonal fate. In the world of religion there is no harder stone and no more poisonous serpent than this view. Grasping, sordid, penurious, famishing for everything she sees—money, power, glory—vain, untruthful, jealous, despotic, arrogant, insolent, pitiless where thinkers and hypnotists are concerned, illiterate, shallow, incapable of reasoning outside of commercial lines, immeasurably selfish—to her followers she is this: patient, gentle, loving, compassionate, noble hearted, unselfish, sinless, widely cultured, splendidly equipped mentally, a profound thinker, an able writer, a divine personage, an inspired messenger whose acts are dictated from the Throne, and whose every utterance is the Voice of God. The messenger, Mary Baker Eddy, was not the voice of God.